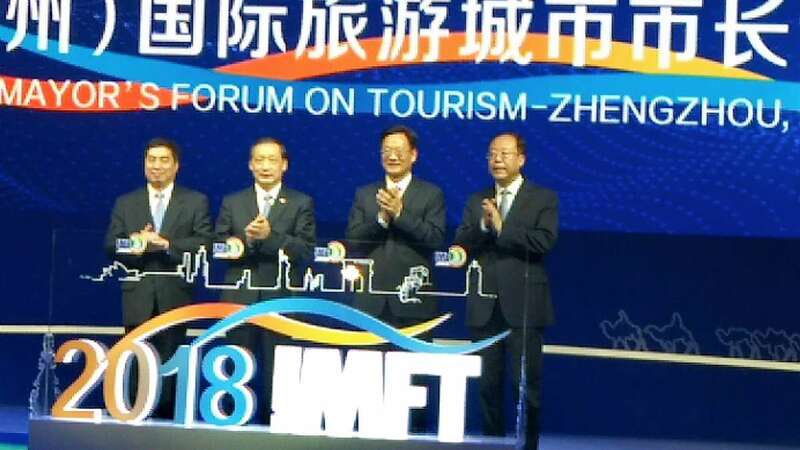 On May 27, the opening ceremony & the conference of the 2018 International Mayor’s Forum on Tourism was staged in Zhengzhou, China. 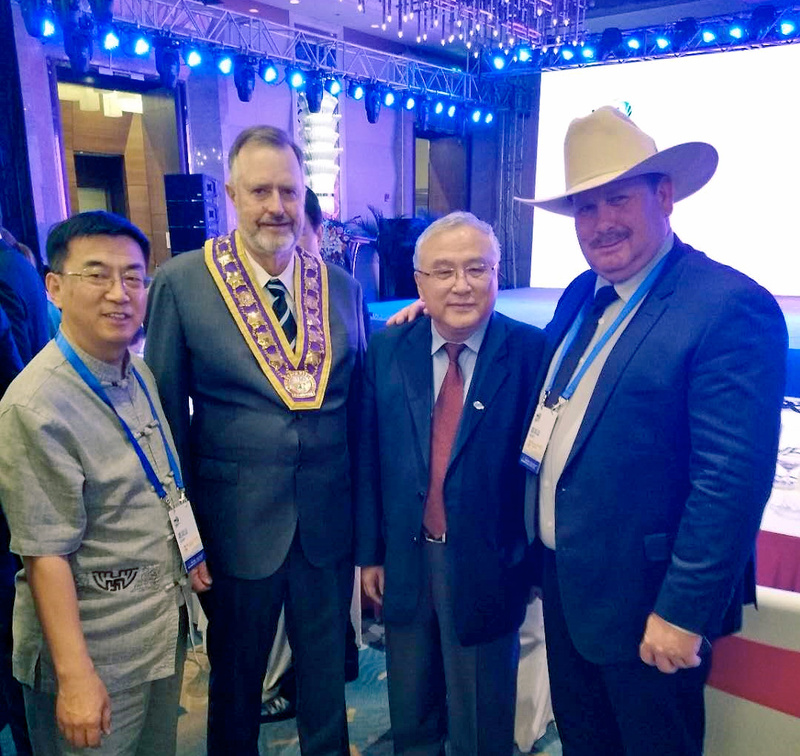 Mr. Zhu Shanzhong - UNWTO Executive Director, Mr. Li Jinzao - China's Vice Minister of Culture and Tourism, Mr. Richard Kinnon – CEO of Outback Pioneers, Mr. Tony Martin - CEO of Quantas Founders Museum and Qantas Airways, Mr. Ed Warren - Mayor of Longreach from Australia, as well as Dr. Adam Wu – CEO of World Travel Online and CBN Travel&MICE were invited to the Forum, which gathered mayors and their deputies from 28 countries to discuss topics about international cooperation. Aided by the stream of airlines servicing tourism hubs such as Cairns and other east coast cities, some 1.39 million Chinese visited Australia over during February 2017 to February 2018, up 13.2% on the year prior and surpassing the 1.36 million visitors from neighboring New Zealand. 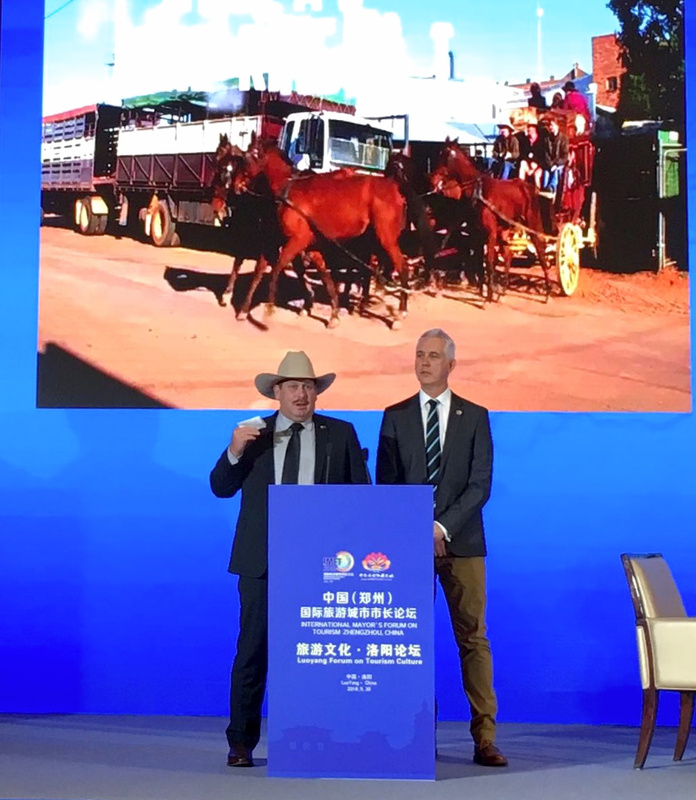 According to an insider in a media release, Chinese tourists remain Australia's biggest spenders, pumping a record 10.4 billion AU dollars ($8.17 billion) - a 14 percent increase from last year. 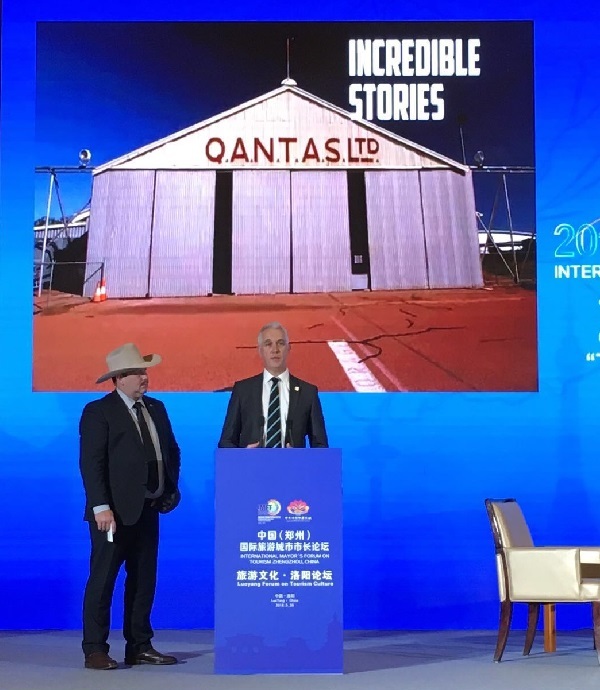 Mr. Richard Kinnon(left) was presenting the experience provided by Outback Pioneers Mr.Tony Martin (right) said Qantas Founders Museum has incredible stories to share with Chinese visitors. Mr. Tony Martin and Mr. Richard Kinnon delivered speeches at the Forum to share the information of attractions to allure participates. Now, they've launched websites in Chinese, hired Chinese-speaking guides, and are looking forward to cooperating with Chinese tour operators. Besides, Outback Pioneers will hold a workshop in Beijing on 1st June, with the assistance of World Travel Online and CBN Travel&MICE.